Flu Vaccines Now Available at PCRR! The flu season is approaching and we are now administering the FLU vaccine to all of our patients and there have been changes to the recommendations for the 2016-2017 Flu season. Flumist, the intranasal form of the influenza vaccine, has been promoted as an alternative to the injectable influenza vaccine, however recent studies prove the intranasal vaccine’s lack of efficacy over the past few years, and the intranasal form is no longer being recommended. The CDC recommends that infants and children over the age of 6 months should receive the ﬂu vaccine before the end of October. Children younger than 9 years old need to have had 2 previous flu vaccines prior to July 2016, in order to receive a single vaccine for the upcoming season and be considered fully protected. Each season we hear from parents who believe that they do not need to vaccinate their children for the flu, but statistics prove that the flu vaccine works and saves lives. While a viral illness, the Flu can cause prolonged symptoms of fever and achiness that can keep a child out of school much longer than a regular cold. 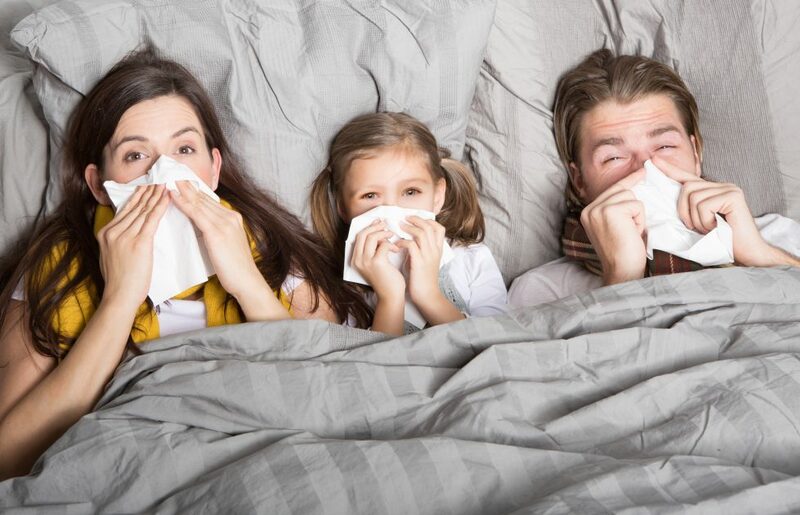 Complications from the flu include secondary bacterial infections such as ear infections, sinus infections, and pneumonias, with young children and children with chronic health problems such as asthma or underlying heart problems more susceptible to developing these complications. Click here to review our Top 10 Flu Myths. Children under 9 years of age who have never had a ﬂu shot before in their life, need two doses of the vaccine, given one month apart from each other in order to be the most effective protection against the flu. A good example of this scenario are babies born during the past year who are now over 6 months of age. We are going to be offering the ﬂu shot when you come in for a well check, but remember to make an appointment on your way out, in order to receive the second part of the ﬂu shot and beneﬁt from the full protection the vaccine offers. Hand-washing is Essential to Preventing the Spread of Influenza! There is nothing worse than having the entire family sick! Missing school, work, and sporting practices can add extra stress to your life. Help prevent the spread of germs at home, work and school by following these simple hand-washing techniques! As always, parents, grandparents and other relatives are welcome to receive the ﬂu vaccine in our ofﬁce; we know many of our patients prefer this option for convenience and to save time. We are committed to accommodating the entire family into our schedule! In order to stay flu-free this flu season and protect those around you with weak immune systems, such as babies and the elderly, make sure to call us at 733-5437 or book your appointment online for flu shots as soon as possible.